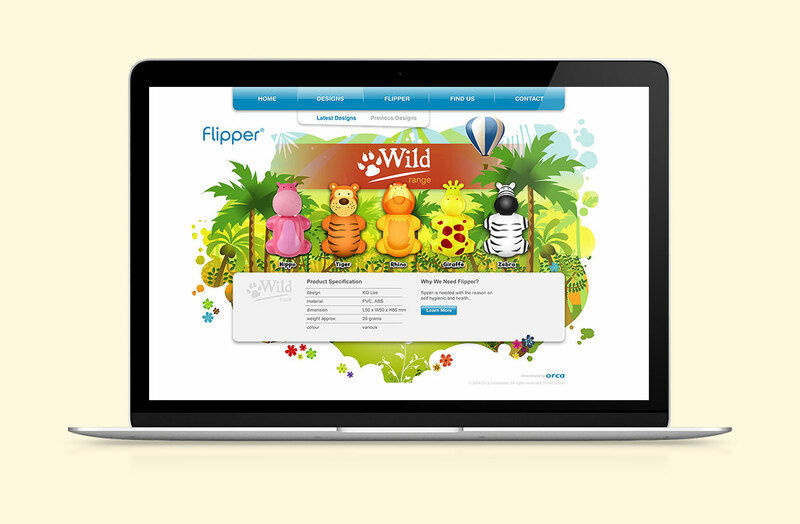 Flipper manufacture colourful character based toothbrush holders for children. We were asked to design the interface for their new website. We decided to put our illustrative skills to the test and created several Flipper world/environments depending on the range of holders i.e. a jungle scene for the wild range, a rural scene for the farm range etc. These were well received and even carried through into the individual packaging for the tooth brush holders.